The York Street Railway Station is designated a Local Historic Place for its association with the development of the railway industry in the City of Fredericton. 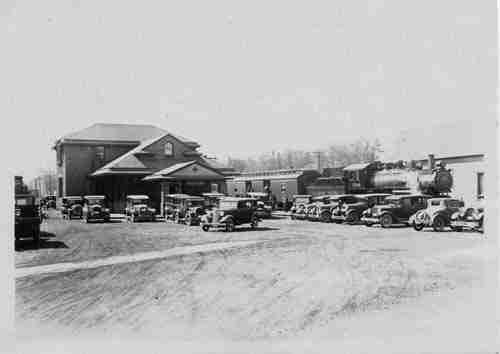 The establishment of a railway station on York Street not only ushered in a new era of passenger traffic in Fredericton but it would eventually become the hub of an industrial enclave at the rear of town. 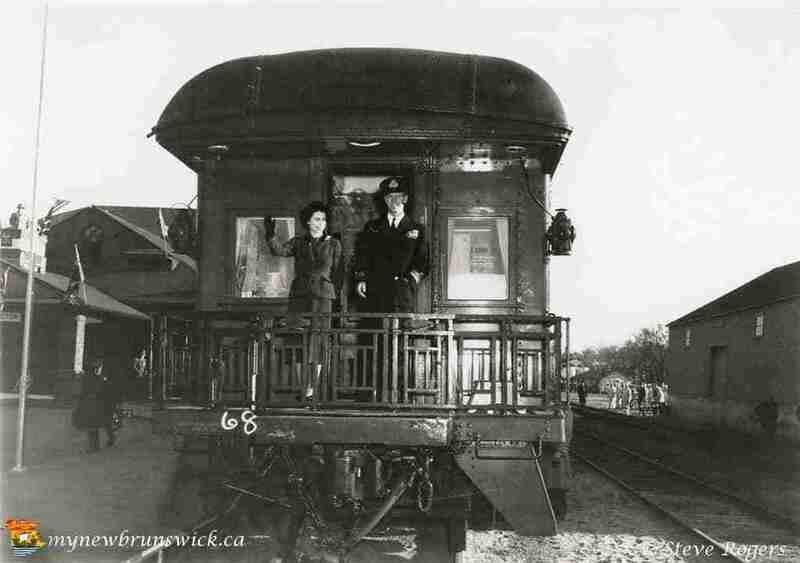 Under the auspices of the Fredericton Railway Company, the city welcomed a connection to the Western Extension of the European and North American Railway and the march of progress that it represented. This new railway link promised to open communication between this province and the “outer world,” and provided year-round access to the main shipping port in Saint John. 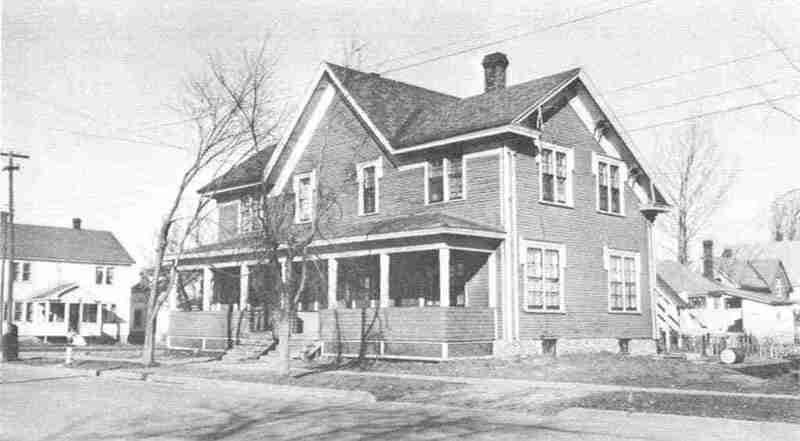 Initially it was proposed that the station should be located near the Court House on lower Queen Street, but Mayor William Needham was instrumental in changing the site to the York Street extension near the Alms House and Isolation Hospital. The original railway station, a two-storey wooden structure located at the corner of Victoria and Northumberland Streets, was completed in the fall of 1869. 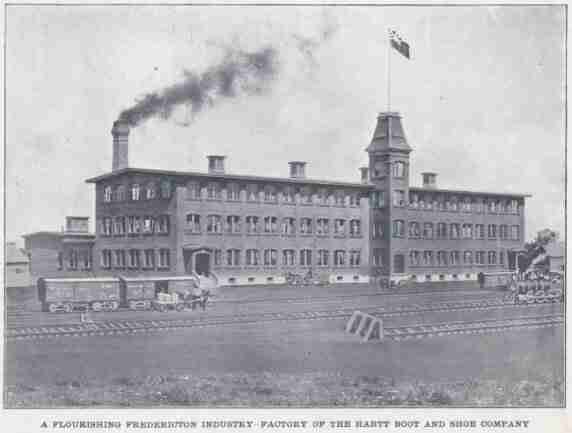 Thirty years later, the Hartt Boot & Shoe Company began manufacturing footwear in its newly completed factory opposite the CPR train station. By the 1910’s, the station was the centre of a flourishing industrial park, with four manufacturing plants producing for both the national and international markets. The railway station was integral to the success of these industrial interests. 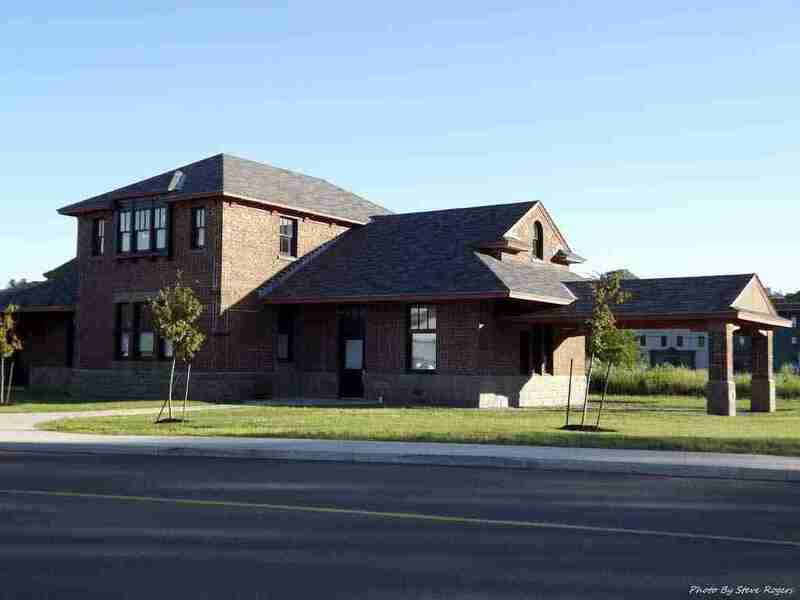 In 1923, officials with the CPR hired the Rhodes-Curry Company of Amherst, Nova Scotia, to erect a new brick railway station, near the site of the original wooden structure. The removal of the old structure provided a courtyard in front of the new station to accommodate the arrival and departure of passengers, taxis, coaches and other vehicles. The design of the railway station, incorporating tapestry brick patterning, was rarely featured in Fredericton buildings. 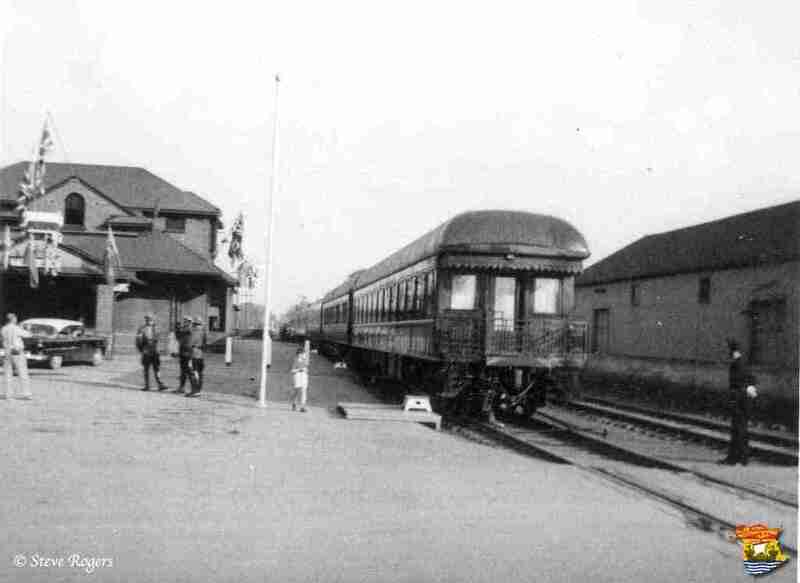 The Fredericton station marked a departure in building material, as most New Brunswick CPR railway stations had been wooden buildings. Although some design elements associated with this building might have been new to Fredericton, the appearance of the station was fairly harmonious with other stations along the CPR. The new station evoked, in particular, the station at Sherbrooke, Québec, as well as the divisional station at Woodstock, New Brunswick. Before the Second World War, the York Street train station served both the CPR and the Canadian National Railway and became known as Union Station. The only major structural change to the station came in 1945 when the canopy at the east end of the building was removed and a freight shed was added to handle both excess baggage and express shipping. The York Street train station had reduced its operations to freight service after passenger traffic ceased in the 1960’s. The CPR withdrew its remaining operations from the building in 1990. The Princess Elizabeth, Duchess of Edinburgh, and her husband, The Duke of Edinburgh, made their first appearance in Newfoundland, Prince Edward Island, Nova Scotia, Ontario, Saskatchewan, British Columbia, and Alberta in 1951, on behalf of her ailing father. The couple toured New Brunswick; after the Princess and Duke arrived at Fredericton’s Union Station on 6 November, they were there greeted by both Lieutenant Governor David Laurence MacLaren and hundreds of well-wishers, and moved on to tour the University of New Brunswick, Christ Church Cathedral, and the Legislative Assembly Building. This photo was taken that day.